“The last six months have been frustrating, so to score a hundred in my first game back is a great feeling,” the excited 28-year old said. 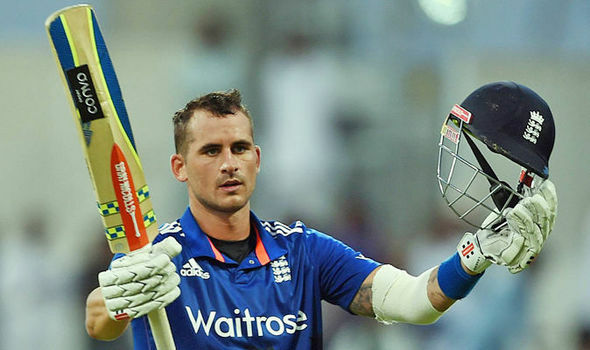 Hales said when he opted out of the Bangladesh trip, he knew he was offering others his spot in the team. He said the injury in India was bad timing so he is most pleased to return to the team. Hales said it was his most important century for England, and that he hoped he repaid the faith in him after all the recent happenings. England scored 328 from 50 overs courtesy of Hales combination with skipper Joe Root. Man of the series Chris Woakes and Liam Plunkett did real damage to West Indies – who knew the game ended after they fell 13-3 despite Jonathan Carter stressing the visitors. England had been expecting to win, with the Online Betting odds making them clear favourites at 1/3 to win it, but it was still a classy performance from the team, which deserves credit. England have two ODI matches against Ireland before they begin the Champions Trophy tournament at The Oval against Bangladesh. Captain Eoin Morgan praised Root and Hales for their partnership. He was happy that Hales was able to take some time off with the injury and come back “hungry and determined.” He rated Hales ahead of Sam Billlings, adding that it would be “hard” to select the players for the Champions Trophy. This entry was posted on Wednesday, May 3rd, 2017 at 3:26 pm	and is filed under England. You can follow any responses to this entry through the RSS 2.0 feed. Both comments and pings are currently closed.